Reason 1: This vaccine implemented sickness being “called” Ebola was introduced into West Africa for the end goal of getting troops on the ground in Nigeria, Liberia, and Sierra Leone. If you remember America was just trying to get into Nigeria for “Boko Haram”, but that fell apart when Nigerians started telling the truth. There ARE NO GIRLS MISSING. Global support fell through the floor, and a new reason was needed to get troops into Nigeria and steal the new oil reserves they have discovered. MC: Monsanto, Bill Gates, the Rockefellers, Craig Venter and other investors are working behind-the-scenes to bring genetically engineered (GE) algae to market with products that include fuel, animal feed made with manure, human food and vaccines. The US government has a stake in this enterprise, too. Obama put a moratorium on drilling for oil on federal land and voted down the Keystone pipeline, in addition to subsidizing the nuclear industry instead of increasing oil reserves. Obama has advocated replacing 17% of US oil imports with oil made from algae. Algae could be the next bottomless pit that the government flushes money down, to the detriment of the taxpayer, similar to the many solar energy scandals. There are two major areas of algae research that the government and private entities are funding; open pond algae farms use massive amounts of freshwater, but this is the cheapest option. The second option is mutated, genetically engineered (GE) or synthetic algae that may be able to use saltwater and polluted water, but there are risks of out-of-control consequences. Obama referenced a study that suggested 17% of US oil imports could be replaced with algae oil using the open pond method. However, he failed to mention that these algae farms would require land mass the size of North Dakota and a continuous supply of freshwater. It requires 350 gallons of water to produce 1 gallon of algae oil! The amount of water required to replace 17% of oil imports is equal to 25% of all water in the US used for crop irrigation. The study published by the Pacific Northwest National Laboratory failed to account for polluted water, evaporation and the energy required to keep ponds from freezing. Many “philanthropic” foundations have been used in America as a tax dodge to protect family fortunes, to polish tarnished images of robber barons and worst of all, to make the public fund depopulation and other detrimental policies that benefit the controlling elite. Some tax-funded depopulation programs include vaccines, genetically modified (GM) crops and “reproductive rights” which is a euphemism for abortion, birth control and sterilization under the elites’ eugenics programs. Incredibly, the public is paying for its own demise! 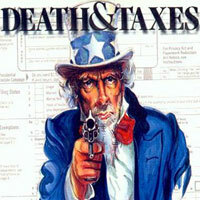 This brings a whole new meaning to the phrase ‘death and taxes’. Foundations- these are the grantors and they are required to donate 5% of their assets each year to charitable organizations. They enjoy enormous tax breaks from the federal government and pay no income tax, no corporate tax and no capital gains tax. States and local governments may also exempt them from property and sales taxation. Some powerful foundations are extremely influential in setting political policies and making laws that benefit their enterprises and pass the cost onto taxpayers. Nonprofit Organizations or NPOs also enjoy the same tax exemptions as foundations (no income, corporate or capital gains taxes). NPOs are structured like a business and seek grants from foundations, government subsidies and corporate and private donations. They do pursue profits. Foundations make grants to NPO “charities”. Assets within foundations are not owned by individuals, but individuals control the assets. Because they are allowed to continually re-invest assets without taxation, foundations are used to protect family wealth through estate planning; this scheme is now expanding into business development which means that some businesses are seeking to cut their taxes by pretending to be charitable organizations. Foundations date back to Greek and Roman times. 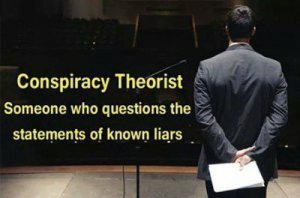 They became popular with the elites in the U.S. when they created the fraudulent Federal Reserve System and the income tax. Republic Defiance Radio: Who put Bill Gates in charge?